I’m pleased to announce that iThoughts v6 (for iOS) is now fully live. 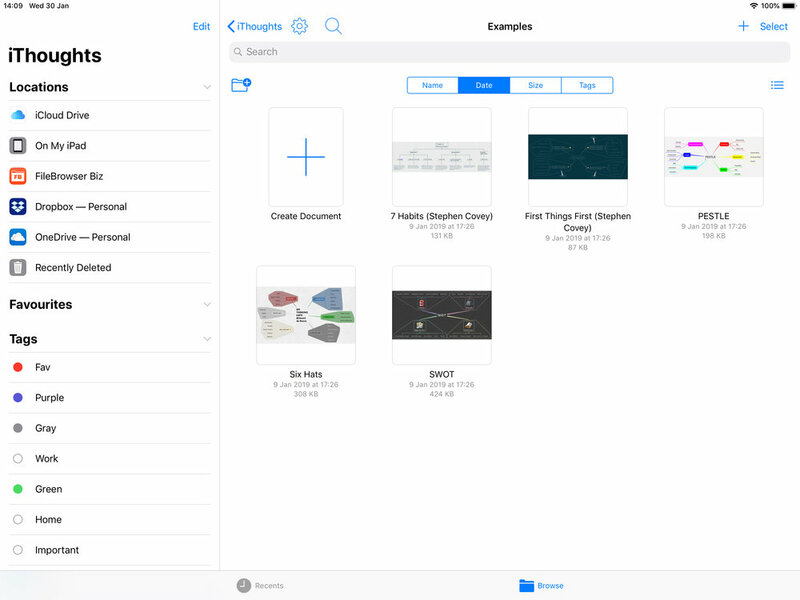 The big change here is that it now uses the Files app to manage access to your mind map files (assuming you have iOS12.) This is the same as used in the iWork apps. This means that there is no longer any need for ‘syncing’ to be implemented/configured within iThoughts. You simply enable the appropriate cloud provider in the ‘Locations’ section of the file picker side bar and then open the map as you might a map stored locally on the device. Sort by date, name etc. NB: The downside is that you can no longer ‘sync’ multiple formats (via Dropbox) as you could previously. You can currently disable the Files interface and return to the original way of working (in the System Settings) but this will not always be the case. Posted on January 30, 2019 by Craig Scott.